About Plunkett Research, Ltd., a global leader in market research and industry analysis, including trends and statistics. Plunkett Research, Ltd. is the leading provider of industry sector analysis and research, industry trends and industry statistics. Our research reports and online subscription service are used by the world's top corporations, consultants, universities, libraries and government agencies. Plunkett Research, Ltd. was established in 1985. Plunkett's products save time and effort when you need competitive intelligence, market research, vertical industry marketing data, or industry trends analysis. We cover such vital industry sectors as health care, financial services, retailing, entertainment, energy and information technology. Our client list includes over 10,000 organizations worldwide that rely on our market research analysis. Over 20,000 people per day turn to our printed or electronic editions for vital data. Leading corporations: Representative clients include Bank of America, Intel, Deloitte, McKinsey, Towers Perrin, Nomura Research Institute, Motorola, Johnson Controls, and Microsoft. Universities: Virtually every major college and university in the U.S. and Canada rely on our publications in libraries, business schools, placement centers, alumni centers and classrooms, including MIT, Yale, Harvard, University of Virginia and the University of Texas. Associations: Representative clients include the Hong Kong Trade Association, the Tampa Florida Chamber of Commerce and the Financial Executives Institute. Government agencies: Representative clients include the World Bank and International Monetary Fund, the U.S. Department of Energy, the FDIC, the National Institutes of Health and the Canadian Ministry of Trade. Hospitals, Medical Libraries and Health Organizations: Representative clients include Mayo Clinic, the Eisenhower Army Medical Center, Cornell University Medical Library, Harvard-Countway Library of Medicine, Johns Hopkins, National Medical Library (U.S.), George Washington University Medical Center. Public Libraries: Representative clients include the American Library in Paris, New York Public Library, Chicago Public Library, Los Angeles County Library System, and the Dallas Public Library. Jack W. Plunkett is CEO & Publisher of Plunkett Research, Ltd., a Houston-based provider of market research and industry information in printed and electronic formats. Plunkett's client list includes leading corporations, institutions and government agencies worldwide. Jack Plunkett is the author or editor of more than 30 books, including Plunkett's Energy Industry Almanac, Plunkett's E-Commerce & Internet Business Almanac and Plunkett's Biotech & Genetics Industry Almanac. A life-long entrepreneur, he has been recognized as a finalist in the "Entrepreneur of the Year" competition sponsored by Ernst & Young.Plunkett is a frequent public speaker and lecturer on university campuses and at industry events. 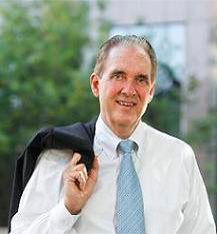 His work has been widely covered by hundreds of magazines, newspapers and broadcast stations, including stories in USA Today and Inc. Magazine.Plunkett is frequently interviewed as an expert source by such publications as The Wall Street Journal and Investor's Business Daily, local and regional newspapers and national columnists.A resident of Houston, Plunkett serves as a director or advisor to several corporations and major nonprofit institutions. He was Founding President of the nonprofit Technology Entrepreneurs' Exchange, Inc., (www.texchange.org) an organization that holds monthly dinners for a select membership of entrepreneurs, venture capitalists, members of academia, members of government and professionals, with chapters in Dallas/Ft. Worth, Houston and Austin.A partial list of current or former board seats follows: Galveston Historical Foundation (Advisory Board), United Way of Galveston County (previous board), Houston Symphony Orchestra (1999-2000 Board Member, former strategic consultant and former President of Houston Symphony Partners), Strand Theater-Galveston (Advisory Board), University of Texas Medical Branch-Galveston, School of Nursing (previous board), University of Houston School of Business Downtown (current board). He has won several awards for his leadership in nonprofit activities. Plunkett previously was an Advisory Director to MSDS Online, Inc., acquired by FOB.com in March 2000.